Happy National Coffee Day my loves!! 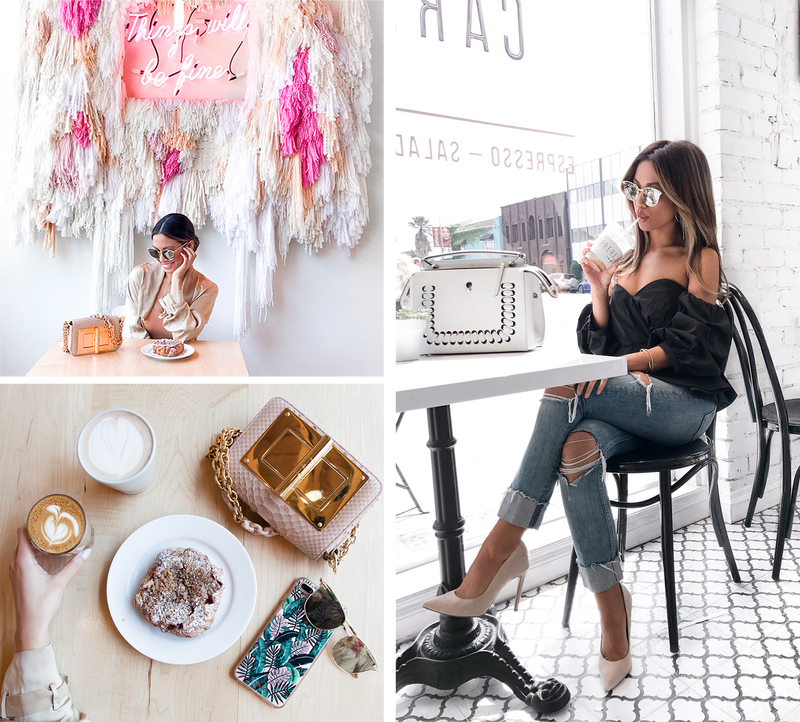 ☕ Being a blogger in LA has made me look at coffee in a new light…I look for coffee shops with Wi-Fi, good quality coffee, and of course a cute and sleek atmosphere for photos! 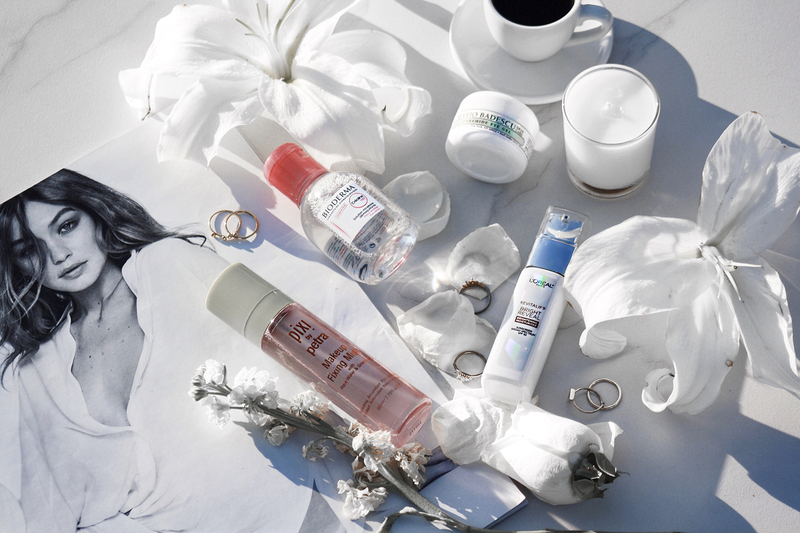 After all, nothing comes between a blogger and her coffee right? So in honor of this holiday, I thought it would be fun to share my top 5 coffee spots in LA! From trendy hotspots to customized latte art..keep scrolling to see my favorites and why I love them! Ever since I discovered Dinosaur Coffee on my Los Feliz City Tour, I’ve been obsessed! This sleek-modern space features dinosaur-themed decor and did I mention they serve San Francisco’s Fourbarrel Coffee and the best strawberry croissants in town?! This coffeehouse features a lot of seating (and outlets), so you can come and work on your laptop during the day or snap some photos with their signature “things will be fine” slogan! Blue Bottle Cafe has the best of both worlds.. sleek modern décor that will have you inspired, plus an amazing lavender cappuccino that you can’t find anywhere else! Need I say more? They also have other locations in the Arts District, Venice Beach, Los Feliz, and more, but their Beverly Grove branch is my favorite! Eightfold Coffee is one of my favorite hipster spots in Echo Park. It has the perfect serene atmosphere and industrial-chic décor that’s great catching up on work or hanging out with friends. And their coffee selection is not to be missed with a unique selection of espresso beverages, cold brew, daily drip and a long menu of loose-leaf teas that aren’t the usual chai or matcha! Hope you loves are starting off your weekend with a coffee or two ;) Any coffee spots I should add to my list?! Also, if you missed my guide to LA’s most insta-worthy cafe’s, make sure you check it out here! Wait… I thought every day was national coffee day?! ;) These cafe’s are just the cutest! Milwaukee DEFINITELY needs to step up their coffee shop game. These spots are beauuutiful! I have been to LA so many times and only end up at Starbucks lol. I have to try these! These are some really great places. You have some great pictures there. Ohh my I can’t stop staring at the customized latte art. These palm trees are too cute to drink! So many cool coffee spots to chill and enjoy the vibe! And its so good too! Alfreds now serves food which is so good!!! Wow, these places are so instagrammy! I wish we have more nice coffee shops where i live. The coffee also looks yummy! I love a nice cup of coffee with a yummy delicious dessert! This makes me wanna go find me some coffee in this gloomy sunday afternoon! Such a great post! Love your look! Wow, I need to check out these places next time I visit! The coffees look so delicious! thanks for sharing Jessi! Can’t wait for you to try them out! Such a quick way to make a day trip with the girls! Dinosaur Coffee is my #1 go-to every time I’m in LA! Super cute, plus their coffee is to die for. Thanks so much for sharing, love. I’ll definitely be stopping by Carrera Coffee the next time I’m in CA. Haha thanks so much for stopping by, glad you liked the post! Wow, these are really fabulous shops, almost as fab as your top! Looking gorgeous as always dear! great post! will have to check out some of these spots! So many cute coffee spots! I have to check them out!